I found this while looking for an alternative collar to replace my regular spring ones. 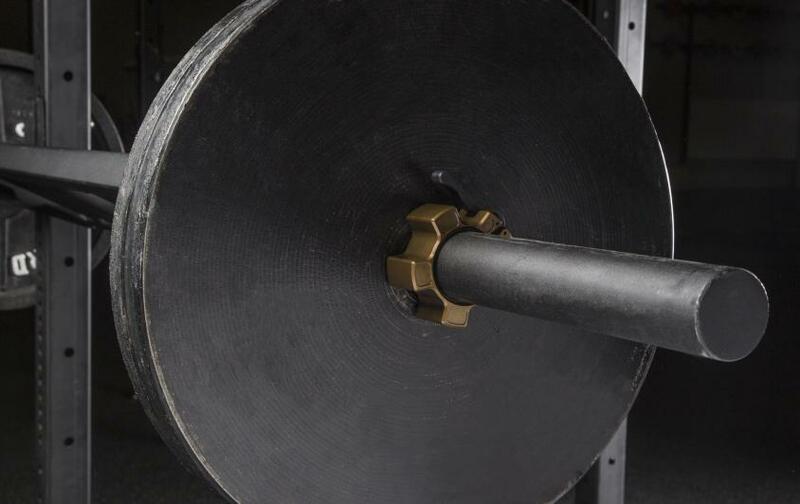 This cog wheel shaped barbell clamp is made of aircraft grade aluminum and fits any 2" olympic barbells. It has a brushed aluminum finish with a plastic lever for a quick lock and unlock mechanism. The inner side of the collar is lined with rubber for added grip and comes with 2-year warranty so long as the damages are sustained while it's on the barbell. It's made in the US and retails for $49.95 plus shipping.